Tactful communication is necessary when interfacing with other people, which we all do on a daily basis. You can deliver a direct message without evoking an unpleasant emotional response. It can also be as simple as just saying the right thing. Whatever label you choose to give it, it is an absolute necessity when delivering difficult news, asking for an over-the-top favor, or giving a critique of some kind. It is also helpful when your child brings home a failing grade from school, when your spouse has been laid off from work, or when your parent receives a troublesome medical report. When you communicate directly, but with the intention of preserving good will, you present yourself as a credible, empathetic person. The kind of person others can easily like and trust. This is a very important quality to possess in business situations and in social interactions as well. Tactful communication is also a display of proper etiquette. 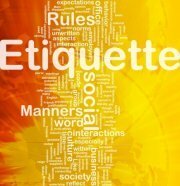 As an etiquette educator, my primary message is that you need to know how to manage your personal space while showing courtesy to other people. What better way to accomplish this than communicating in a win-win style? 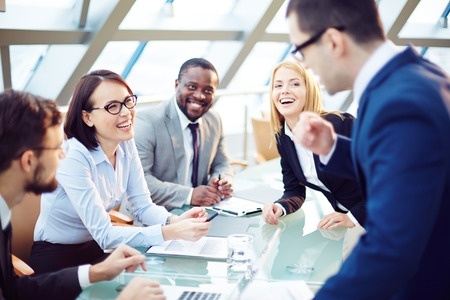 Like any personal quality, effective communication may come naturally for you. Or it may not be your strong suit at all. Here are five areas of practice you might incorporate into your daily interactions. Listen and think before you speak. If you don't have enough information, you are much more likely to respond inappropriately. Listen with full attention, think about what you are going to say, then say it with compassion. Timing is everything. Who you're with, where you are, and other people around you, should all be considered before you blurt out a comment or piece of news. Deliver it subtly, or choose to share it another time. Words that evoke emotion. Beginning a sentence with "You" can, in some instances, sound critical or accusatory. Avoid putting someone on the defensive by referencing the situation and a positive action that might improve it. You could also begin your sentence with "I" to help the other person see your perspective on the situation. Body language enhances your words. Be sure and maintain the all-important eye contact when speaking to someone. Also, remain open by keeping your arms uncrossed and your face relaxed. Your true message will be received much more accurately. Avoid emotional responses. Approach every conversation in a cool, calm manner. If a conversation escalates, or if a situation causes you to lose composure, remove yourself from it until you can calm down enough to communicate appropriately. The ability to communicate in a diplomatic style is a quality we rarely think to improve upon. Until we need it. I encourage you to be mindful of the five practices listed above and put them to use in your daily interactions. You will find that others react positively to you and your conversations are more enjoyable. Mind Tools "How to be Tactful." Accessed November 18, 2015.